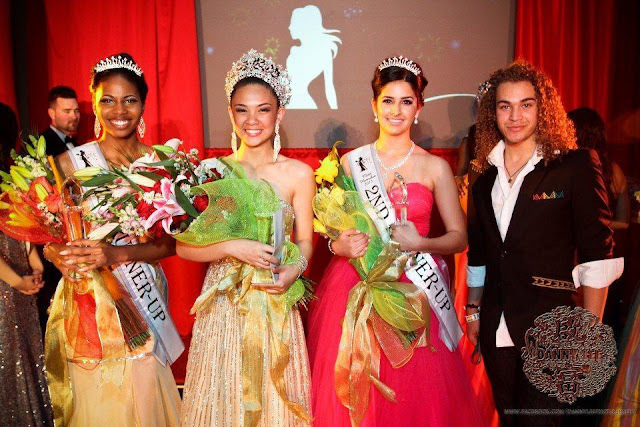 Miss Hercules 2013 Kristiana Sunga with 1st runner-up Courtney Dawson and 2nd runner-up Janet Lares, with American Idol finalist, DeAndre Brakensick who was the featured entertainer. Two years ago, I had the privilege of judging the first ever Miss Hercules pageant. Don't be fooled by the name: it is not a body building competition, but a scholarship pageant based in the small city of Hercules in California, just less than 30 minutes from San Francisco. 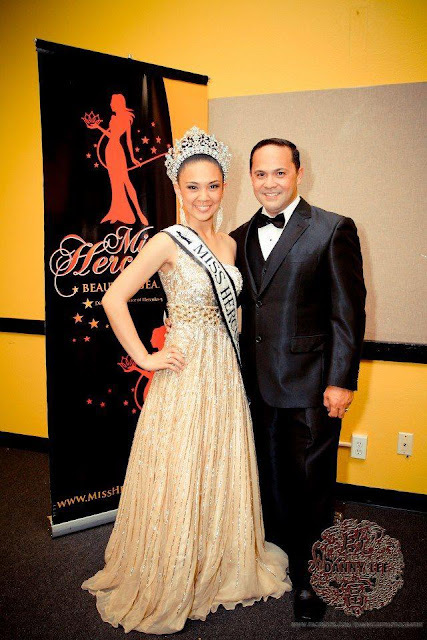 The pageant is owned and produced by Richard James White, the president of the Miss Hercules Organization (MHO) who is a successful realtor as well as a big aficionado of pageants. Richard has been following Critical Beauty for many years and we have known each other for almost ten. 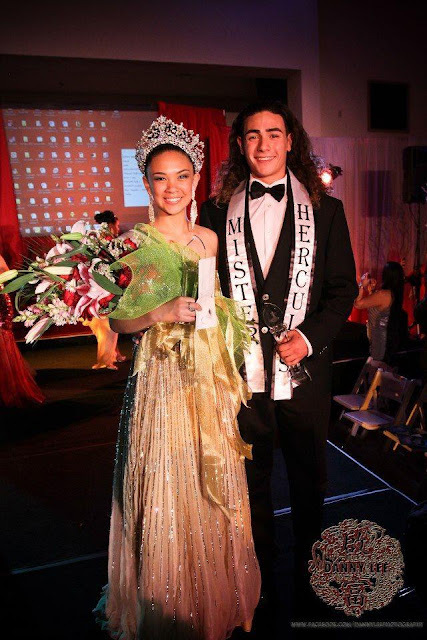 Richard had always dreamed of giving back to his community, and what better way to do it than providing an opportunity for young ladies to shine and to compete in a pageant. The first pageant turned out to be a huge success! Last Sunday, April 14th, the pageant returned and I was asked to judge again. But this time, it was more memorable for several reasons: it had the full support of the entire city, took place in a bigger venue (Hercules Community Center), attracted more sponsors and attendees, had a distinguished and more diverse panel of judges, featured an American Idol finalist, introduced its own theme song ("Miss Hercules") sung by a choir of girls dubbed as the Little Sisters of Miss Hercules (reminiscent of the Little Sisters from Miss Universe), and selected its first Mister Hercules, Michael Sanchez, among the 9 young, male escorts. And even though the number of contestants (9) was smaller than that of the first pageant (12), each young woman who competed this year came more prepared and competitive. The winner of the 2013 Miss Hercules pageant is Kristiana Sunga, 15, who represented the district of Bayside. The 1st runner-up is Miss Gem Stones Courtney Dawson, 18, and the 2nd runner-up is Miss Baywood Janette Lares, 18. Sunga's prize package includes a $5,000 scholarship, an all-expenses paid trip to Puerto Vallarta, an exquisite sash, and a beautiful crown by renowned Venezuelan jewelry designer George Wittels who designs crowns for the Miss Venezuela pageant. Sunga also received the following special awards: Miss Talent, Miss Charity, Miss Photogenic, Miss Eloquence, and Miss Critical Beauty that included $200 worth of beauty and skin care (and animal test-free) products from Lush Cosmetics.